Welcome to the first bGrid blog where we interview our Managing Director, Wouter Kok. Q: What prompted you to set up bGrid back in 2015? My background is in engineering and my co-founder is an expert in machine-to-machine technology. We looked at the way building technology worked and realised we could help office employees be more productive and comfortable. We were also convinced that smart IOT technology could help hospital patients heal faster and students study and learn better. There was just such a huge potential to be unlocked across the building industry. Most of the wireless and IOT technology in buildings was closed technology. By that I mean that many of the big providers were operating as one-stop-shops with vendor lock-ins. We chose to provide ways to unlock the data in a more open, transparent and easy to use way. After all, when you buy a smartphone, you’re not locked-in to certain pre-loaded apps. You can buy what you want, when you want it and update and change things to meet your needs. We wanted to give clients this kind of flexibility over their smart building technology. Q: How do you see the future of this technology? In about five years, data and location based services will be standard in all new buildings. The benefits are obvious to anyone who is familiar with the technology. If you are an employee in a big company for example, you can find out what’s going on around you. Where are my colleagues right now? Is there a quiet space for me to work? What rooms are available and which will be most productive for the meeting I’m organizing? A hospital nurse can locate essential equipment quickly and easily from a smartphone or tablet. It can also make life better for patients. For instance, you could wait in a nearby restaurant and be notified when the doctor is free, taking the estimated travel time to the appointment into account. People have individual preferences over things such as room temperature, light and acoustics. Now buildings can collect this data and adapt the heating, lighting and air conditioning. This saves energy and makes buildings both more sustainable and more comfortable. We have been at the forefront of this over the past three years, mostly working on showcase buildings such as Microsoft’s HQ in Amsterdam. But, we are now seeing this technology becoming mainstream. More and more organisations are realising the benefits and seeing that adopting smart building technology is more efficient and makes them a more attractive employer. Q: You’ve installed bGrid’s technology in new buildings, such as the Microsoft HQ and Unilever’s New Jersey office, but does it have wider applications? Yes, definitely. The bGrid solution can connect with hardware and software from third parties and it doesn’t need other sensors or devices. That means it works really well in existing buildings. It connects with legacy systems and the building industry supply chain, and can be adapted to clients’ future needs. Crucially, it can also be retro-fitted into older buildings and this can be done while the building is in use. With our smart technology you can make your buildings more sustainable without having to rebuild or even change your current air conditioning or lighting systems. 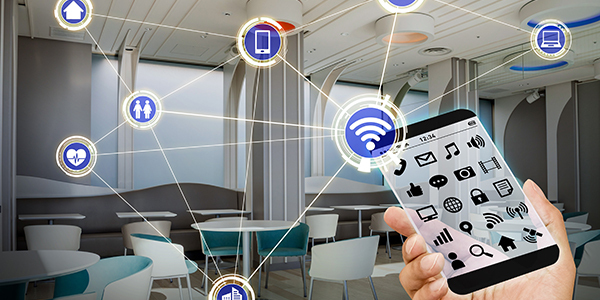 In future blogs we’ll be covering innovations in IOT technology and how smart buildings can improve your brand and make you a more attractive place to work. We’ll also be bringing you news of the projects we work on and stories from our partners and clients.